"Valencia's home record of late is outstanding, and they can excel on the counter against a Villarreal side that has to push for goals." With an entertaining game seemingly set to end level, Danish midfielder Daniel Wass struck an unstoppable shot, and Valencia went 2-1 up against Villarreal at the Ceramica. Villarreal, stunned by going behind for a second time, pushed for an equaliser. With a lightning-fast break Valencia punished their opponents for that ambition, as a perfect ball was delivered to Goncalo Guedes, who finished coolly. Failure from here on in for Valencia is unthinkable. They have won six of their last seven home matches in all competitions, they haven't lost at the Mestalla since a defeat to Girona in the first week of November, and they haven't conceded more than a single goal in a home match since they lost to Juventus in the Champions League back in September. Coach Marcelino has ridden out some storms this season, and could be set to wrap up the campaign in stunning fashion. Los Che are only three points adrift of the top four in La Liga, and they have lost just one of their last 20 games in all competitions. A Copa del Rey final against mighty Barcelona is on the horizon. Carlos Soler should return to midfield after a ban, but full-back Cristiano Piccini was injured in the weekend's 3-1 win over Levante and won't feature. It's been a lot of fun watching Villarreal in this competition. They have consistently exceeded expectations, and even though they have been fighting a grim relegation battle in La Liga, they have still put all of their efforts into the Europa League when other clubs would've happily given up to concentrate on domestic matters. Late collapses have been a costly habit of late. 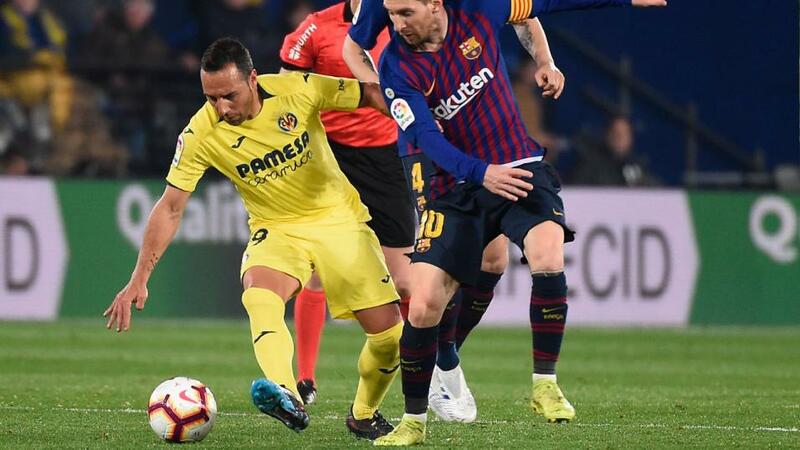 Barcelona snatched a 4-4 draw against the Yellow Submarine, even though they were 4-2 down heading into stoppage time, and Celta Vigo came back from 2-0 down to win 3-2. The double-blow at the Ceramica last week has surely ended Javi Calleja's hopes of leading his team into the semi-finals of the Europa League. Villarreal have already lost twice to Valencia in league and cup this season, and they were beaten 3-0 at the Mestalla. They have lost two of their last three games on the road, but at the weekend they picked up a potentially vital 1-0 win at Girona which means they are two points clear of the dropzone. Defender Alvaro Gonzalez is suspended, while Daniele Bonera was injured at the weekend. Valencia's home form is outstanding, and they have already secured a resounding home win against Thursday's opponents in the league. Villarreal will give it their all as always, but they need to score at least three goals, and I think Valencia will punish them on the counter-attack. I'll back the hosts to win at [1.82]. Under 2.5 Goals is trading at [2.04] on the Exchange, and there's evidence to support that bet. Six of Valencia's last nine home games in all competitions have featured fewer than three goals, and they have kept six clean sheets during that sequence.